Thanks to Retinol that accelerates enzymatic processes and cell division, the skin becomes able to self-regenerate from within. Contains Retinol Conditioner "Retinol Molecular Film", capable of delivering pure Retinol to the skin with increased penetration into the depth of the dermis. prevents premature aging of the skin. It is a cream to care for the sensitive area around the eyes, a wrinkle area. 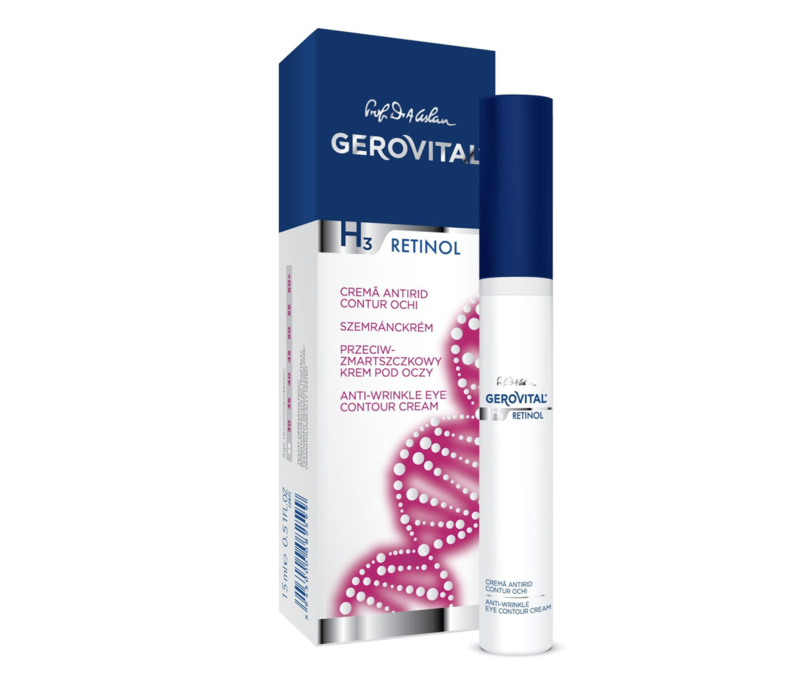 Contains Retinol Conditioner in the form of "Retinol Molecular Film", capable of delivering retinol to the skin purely stable, with increased penetration in the depth of the dermis. Sepilift, Vitamins A and E potentiate the effect of wrinkle reduction, elasticity and firmness of the skin and prevent the appearance of new wrinkles. The Boswellia Serrata extract, through soothing, anti-irritant effects, provides extra protection for this extremely sensitive area. It is used in the morning and evening, after cleansing. It is advisable to avoid exposure to sunlight and avoiding the use of cream during pregnancy. In the case of sun exposure, a product with SPF is also applied, depending on the duration of exposure (SPF 10-20 during autumn / winter and summer if activity is in an office, SPF 50 when the sun is stronger or if the activity is more out in summer). Is it recommended to men? Sure, the products are unisex, so eye contour cream is also recommended for men. 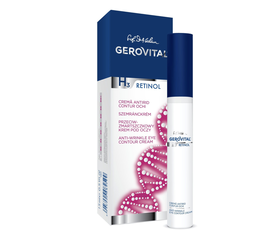 For the skin we have a maintenance cream specially designed for men Gerovital H3 Men anti-wrinkle cream.